2019′ Autism Welcomed Decal “Test-Drives” – Known as the Autism Welcomed Mat for Autism Families…….The AUTISM WELCOMED DECAL ©2013 Is a unique symbol "Helping Families Living With Autism Feel Welcomed in Public Places Today, Tomorrow, & Every Day After" (Opening Doors, Opening Hearts, And Creating Smiles) This Unique Symbol's Purpose is NOT always Sensory Friendly; However, These "every day places" will ALWAYS be Welcoming Friendly by offering Autism Acceptance, Kindness, & Support as well. So if you're ready to "Rock their Autism World with Unconditional LOVE & ACCEPTANCE?" This is the Symbol to Follow #AutismWelcomedDecal "Hug You Soon!" S.M.A.A.R.T.Mom’s Looking for Autism Welcomed Decal Test-Drives for 2018’………….Interested? Contact S.M.A.A.R.T.Mom TODAY here or at the Autism Welcomed Decal Face Book Page! I’M SORRY TO ANNOUNCE THIS, ESPECIALLY THIS BEING MY FAVORITE MONTH AND TIME OF THE YEAR. BUT THERE WON’T BE AN AUTISM WELCOMED DECAL TEST-DRIVE THIS MONTH FOR DECEMBER 2018. HOPEFULLY, 2019′ I’LL HAVE BETTER NEWS. ON A GOOD NOTE THOUGH; THERE WILL BE ONE IN JANUARY 2019′. TICKETS ARE AVAILABLE NOW! “That One Fun Place” in South Daytona, Florida! “@ “WonderWorks” in Orlando, FL! But, if you’re not ready to Rock Autism with the Symbol….This unique Test Drive is just for you! On January 13, 2019 ( 9:00am-12:00pm) -SUNDAY- WonderWorks will be offering you a “SENSORY FRIENDLY” Experience at a very affordable cost of $10.00+tax per person. You won’t need to pay for this test-drive until you arrive on Jan. 13th. But you do need to register and bring your confirmation of registration to the front desk for this test-drive so I can get an accurate head count and enter you in to the Autism Welcomed Decal Raffle! But, if you’re not ready to Rock Autism with the Symbol….This unique Test Drive is just for you! On February 07, 2019 ( 6:00pm-8:00pm) -THURSDAY- WonderWorks will be offering you a “SENSORY FRIENDLY” Experience at a very affordable cost of $10.00+tax per person. You won’t need to pay for this test-drive until you arrive on Feb. 7th. But you do need to register and bring your confirmation of registration to the front desk for this test-drive so I can get an accurate head count and enter you in to the Autism Welcomed Decal Raffle! Autism Welcomed Decal Test-Drive in Lake City, FL! Are YOU ready to Rock Autism with the Symbol? ….This unique Test Drive is just for you! On March 23, 2019 ( 1:00pm-3:00pm) -SATURDAY- Tickets are $6.00 per bowler for two games and this does include shoes. Raffle is FREE for those who buy a ticket. We can’t wait to Bowl a Smile with YOU! Join Our A.S.G.O. 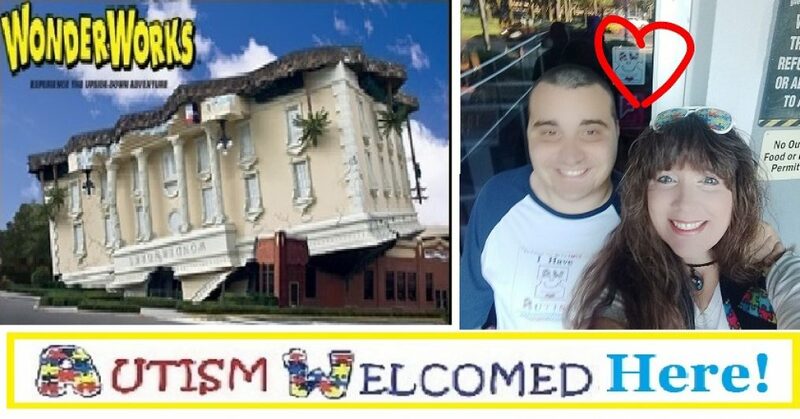 AUTISM WALK TEAM: “Autism Welcomed Decal Symbol” in Orlando, FL! #SMAARTMom and Dustin have been ASGO members since they were established and love what they have done in our community for over 20 years. Once again, I’m reaching out to invite you and your family & friends to help support this wonderful organization as well as to walk with #SMAARTMom & her Dustin, expressing how much you love the Autism Welcomed Decal Symbol by joining our 2019′ Walk TEAM: “Autism Welcomed Decal Symbol.” ASGO will be hosting their 14th Annual Autism Walk & Family Fun Day inside the Orange County Convention Center’s North Concourse from 8:00 AM – 12:00 PM. Below are the participant registration forms with our Team Name already on it. All you need is to fill out the rest and fax/mail it to the yellow box at the bottom of the form. NOTE: This year will require one participant form for EACH participant who will be attending the walk. Dustin and I would be so proud to walk beside you and together we can enjoy characters, face painters, balloon artistry, bounce houses, games/prizes, parachute play, 4,000 Egg Hunt for all children 17 and under and individuals with autism regardless of age, silent auction, concession stand, autism awareness items, and a whole lot more. Awareness Kayak, Picnic, & Swim Test-Drive in Fort White, FL! Date & Time: (SATURDAY) April 27, 2019 at 10:00a.m.-2:00pm (Canoe Riders start at 11:00am ) and From 12:00pm-2:00pm Pack Your Lunch to Picnic with Us and if it’s warm enough bring your swimming suit to go swimming too!! COST: (Discounted just for us Today) $15.00 per person includes Life Jackets, Paddles, and Kayak. Kayaks can sit up to three. (Not Recommended for three large Adults) 2 Adults & 1 Child is fine. (Tickets are Limited & is Required to Attend.) If you just want to come along and picnic and swim please get the FREE ticket that is offered. But be sure to pack you own lunch. Follow the Autism Welcomed Decal Be-Bop Test-Drive in Lake City, Florida!